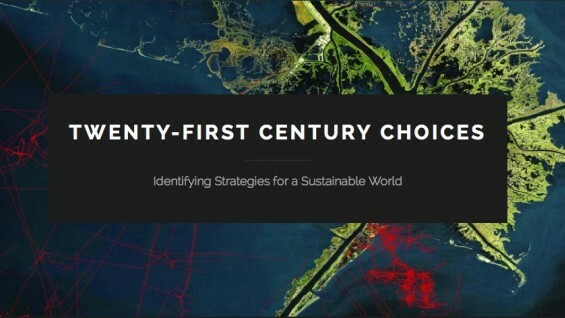 The Cooper Union Institute for Sustainable Design is working with Institute Fellow, Prof. Albert F. Appleton, to present the blog Twenty-First Century Choices: Identifying Strategies for a Sustainable World. This blog has been created to serve two purposes. First, it is meant to foster a running conversation on how sustainability, the defining challenge of the 21st century, should shape public policy choices, particularly with respect to urban design, infrastructure, and public investment. Second, in conducting that debate, it seeks to refine what we mean by sustainability: that is the concept of ensuring economic prosperity and a vibrant, coherent society by designing an economy that conserves and creates wealth by living within the limits of the resources of our planet and the dynamics of its ecological processes. In light of these aims, essays will posted on a recurring basis to contribute to an ongoing discussion on sustainability, its role at The Cooper Union and New York City at large. The comments section of the blog is intended to support the ideas presented within the published content. Readers are invited to provide feedback, questions, and observations that further the scope of discussion. All blog posts will center on the fundamental purpose of the blog, generally organized into three categories: Values and Principles, Global, and New York City.